Overwatch’s Play of the Game system is one of the game’s most iconic features. It picks a pivotal play from the match to highlight an MVP after the action, and it feels real nice to have your actions highlighted. But the algorithm isn’t perfect – in fact, it’s often broken, and a particularly egregious example just hit Reddit. The ‘highlight’ opens from the perspective of a dead Genji player, waiting out the respawn timer while watching teammates contest the objective in overtime at a distance. 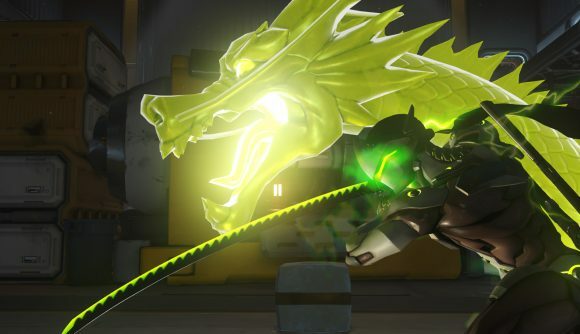 Genji respawns, dashes toward the action and – er, that’s it. Death and a little walk toward where things are happening. Not even a failed Dragonblade attempt. There are plenty of bad plays of the game out there, but they rarely open with a corpse and end with nothing. The clip – which you can see here – is goofy enough fun, but it does highlight that the system could be better. Blizzard knows it, too, and despite attempts to patent Play of the Game detection methodology the developers have frequently over the years noted that they want to improve the tech. Judging by this, though, there’s still a way to go. But hey, Blizzard has more important things to focus on like now – like giving Doomfish the name and respect that he deserves. Gotta make sure those priorities are straight when it comes to allocating very important development resources.